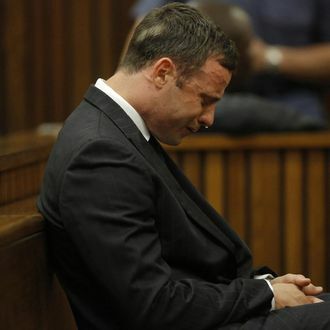 Just a day after he was acquitted of murder charges in the shooting death of his girlfriend, Oscar Pistorius was found guilty of manslaughter in the same case. The charge is known as “culpable homicide” in South Africa. Culpable homicide carries a penalty of up to 15 years in prison. However, Pistorius may get off with a suspended sentence and a fine. The prosecution has said it will wait for the sentencing to decide whether it will appeal the verdict. Updated, 3:30 p.m.: Reeva Steenkamp’s spoke to NBC’s Jeff Rosenabout the verdict. "This verdict is not justice for Reeva," June Steenkamp told Rosen. "I just want the truth."